The Tuesday keynote speaker at ISTE encourages educators and students to tell multiple stories through technology. 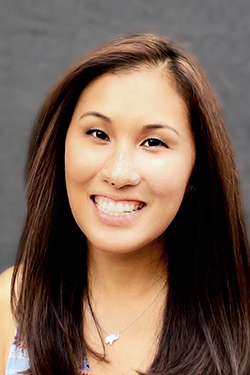 Jennie Magiera, the ISTE keynote speaker for Tuesday, June 27. Well, Jennie Magiera is living proof of a Renaissance Woman in action. She’s an experienced teacher, administrator, speaker and author. She has taught math, science and other subjects in Chicago Public Schools for a decade. She has collected many accolades and honors, including Chicago Public Schools’ Innovator of the Year, White House Champion for Change, Golden Apple Teacher of Distinction, Apple Distinguished Educator and Google for Education Certified Innovator. She served on the Technical Working Group for the U.S. Department of Education’s 2016 National Educational Technology Plan, and co-founded PLAYDATE, a new conference concept. Magiera created an ed tech blog called “Teaching Like It’s 2999,” and is the author of a well-reviewed book on innovative teaching, “Courageous Edventures.” She has also delivered a TEDx talk titled “Power to the Pupil,” and has appeared multiple times on television and radio. Currently, Magiera serves as chief innovation officer for Des Plaines Public School District 62, representing 12 schools on the north side of Chicago. Starting July 1, she will be chief program officer for EdTechTeam, a global network of educational technologists dedicated to helping other educators, based in Irvine, CA. Magiera will deliver the Tuesday keynote speech during the International Society for Technology in Education (ISTE) conference, 8:30-9:45 a.m. June 27. THE Journal caught up with Magiera and asked her about her approaches to education, technology, and bringing power back to the pupil. THE Journal: What does it mean to be a chief innovation officer for a school district? 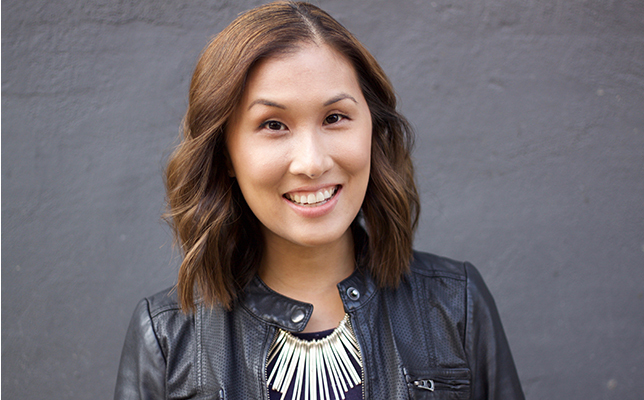 Jennie Magiera: Basically, it’s like a chief technology officer. Technology and IT report to me. I oversee technology for learning and also the infrastructure side. I have also been a classroom teacher. I taught fourth and fifth grade, and math and science intermediate grades — third, fourth, fifth, sixth grades. THE Journal: You’re giving the keynote speech Tuesday, June 27, at ISTE. What are you going to talk about? Magiera: That’s a great question. I’m still working on it. Right now, something I’m thinking about — I actually have my planning posted in front of me — I’m talking about our stories, and “The Danger of a Single Story” by Chaminanda Ngozi Adichie, a Nigerian author. The danger of the single story means oftentimes people only have a single story of each other, each other’s culture, their own people’s culture too. But she also found that she had a single story — a middle class Nigerian home, with someone who could cook and clean. Her story inspired me to think about this keynote. I thought about the stories that we have of each other in education, as a society. I think that we have a lot of single stories about each other. Even in this political environment, we have a lot of single stories of conservatives and liberals. Jennie Magiera. Image courtesy of ISTE. At ISTE, we come to this event and we’re around our people, around our tribe. People have single stories about technology and what it can be, and people who don’t want to come on board. ISTE is nerd camp for teachers and their friends. People are so excited, and it’s so fun. You get home, and there’s resistance and the enemy and people who don’t want to get on board. The purpose of school, if I really think about that, is to learn that we all have multiple stories. Identity is made up of a myriad of stories. I’m really passionate about student voice, about their stories. At the same time, a story is only as good as its audience. A story is told over and over — the power of the story is in the retelling of the story. So before technology, it was people sitting around a dinner table or campfire telling stories. The power of technology is, it allows you to have a broader audience so your story is much more powerful. Social media gives you a broader audience. It also exposes you to your own story, and you get exposed to a myriad of other stories, from community boards to list serves. You’re not alone. There are stories out there you’ve never heard. THE Journal: Have you gone 1-to-1 in your school district? Magiera: Yes, 1-to-1 with iPads and MacBooks. THE Journal: Do you think that’s important? Why? Magiera: Yeah, absolutely. It’s exactly what I was talking about — connecting the [students] to communities that they don’t have access to. There are resources beyond the teacher. The teacher is no longer the holder of all knowledge in the classroom. The technology allows for an infinite cache of updated, real-time information, where the kids can constantly be updated. THE Journal: Nicholas Carr wrote a famous article in The Atlantic titled, “Is Google Making Us Stupid?” He argued that because of the internet and quick links, videos, headlines, blog posts and countless other distractions, we’re losing our ability to concentrate and contemplate deeply. What do you think of that? Magiera: There are tools that the kids can create. If it was just Google and news sources online, then maybe. But it’s not just content, it’s creation and connection as well. The internet [and technology] allows you to connect with others — to make meaning of the content. You can use tools to create new content, then send it back out into the world. We’re building more content for others to interact with. If you read a book and only discuss that in class, it all stays in the silo of the classroom. Not only are we consuming better, more authentic and relevant information; we’re contributing new content back into the international information space. THE Journal: What was it like to move from the classroom, where you are in charge of a class or two or more, to administration, where you have to oversee not only multiple classrooms, but multiple schools? Magiera: When I stepped out of my own classroom, I began coaching and supporting colleagues across the district. I didn’t have the direct relationships I used to have. Instead of working with myself and my principal, I had to work with many principals, schools and departments. That was a lot more challenging — I didn’t have that deep relationship [with students and parents]. Without that relationship, the trust wasn’t immediate. An experienced classroom teacher, Jennie Magiera works with a student in class. However, as you build that trust, and you build that relationship, and you explain the why — why is it important? — everything goes [smoother]; you win more people over. You help them believe in this concept, and you allow them to find themselves as well. Magiera: It’s broken into four sections. The first stage is the setting of the why —why you want to take this risk. The second section is setting up a problem-based approach to innovation. You’re not doing innovation just for the sake of being different, because “innovation” is the catchy new phrase of the day. You’re identifying existing challenges in the classroom. You’re discovering how technology can be a potential for addressing those challenges. The next section is broken up into four or five chapters, or categories of challenges. I was a digital learning coordinator across a district, and I encountered popular problems that people face. You can write out all of their problems and do a gripe jam. You go through and find challenges and different solutions. I talk about a Teacher Innovation Exploration Plan (TIEP). I address some of [the teachers’] solutions. But the TIEP allows you to have some more bandwidth, where you can take some bigger risks around student agency. I want teachers to learn how to get students into higher levels of thinking. In your journey, you can be a leader in your space. I believe in sharing things and paying it forward. THE Journal: Has the response to the book been positive? Magiera: Definitely. A lot of people are reaching out, saying how it’s worked. Districts have asked for permission to use it for scale. I believe in sharing things and paying it forward. Even if they need to modify it, that’s great. THE Journal: It’s sort of become a cliché, but do we need to teach today’s students technological skills so they can be prepared for the jobs of the future, even the jobs that don’t exist yet? Magiera: I think that’s certainly a real issue. As we continue to move forward, the economy is going to be more and more reliant on skilled workers who understand technology and spread sheets and have more discreet skills. With that being said, I’m not a proponent of teaching code so they can get a job when they grow up. Very few elementary and even high school hours are spent on vocational skills. Think about how much time is spent on shop — not that much. We’re learning foundational skills in order to create a well-rounded, holistic adult. If we use technology as a means for connection to other humans, and allow our kids to create for a wider and more realistic audience, they’re going to intrinsically learn those skills they need [for the workplace of the future]. They’re going to learn how to write with digital media. They’re going to learn all those skills if we use technology in the environment in the classroom. I’m not focusing on it as vocational skill. I have much higher hopes than that. I want [students] to be good humans and great people and citizens of the world. THE Journal: You’ve taught in Chicago, and you work with a school district in the greater Chicago area. Isn’t Chicago a challenging environment? Magiera: Absolutely. There’s a definite lack of resources, and lack of support from the district at times. The lack of support is in terms of funding and staffing. It’s a low-income, high needs area. There’s also a political push to be focused on standardized testing. We weren’t [always] allowed the freedom to take risks and try new things. At the end of the day, every minute is about test prep and the state exam. I worked in one of the few high needs areas with a principal [who was really on my side]. She understood the system — if we didn’t succeed, our school could be closed. But we cold do both. There were opportunities to be more creative and to produce self-actualized human beings. At the same time, a lot of kids don’t care about grades, as long as they weren’t failing the entire grade. But if I said, “What do you really care about? Let’s create a class newspaper, and you can be the editor-in-chief.” They were a lot more bought in. I want them to be truly trying to understand the content, and realize it’s a tool for them to achieve something that they were hungry to do. THE Journal: What is PLAYDATE? Magiera: PLAYDATE [People Learning and Asking Y: Digital Age Teacher Exploration] is a conference concept. You go to these conferences, and you might learn about something really amazing at ISTE. But then when do you get to apply it? PLAYDATE is about playtime. To play with an idea. If you discover a really great app or a strategy, you can spend time with other people who are interested in that idea. It’s focused play for adults. Let’s say you want to learn Final Cut Pro, and you want to create a news show. But you have no idea how to work it. You go to a PLAYDATE for an hour, two-hour slot. There’s no presenter in the room. You have to learn the basics yourself. The start button does this. In the end, you have to create something. THE Journal: As a tech director, don’t you have to learn complicated systems and programs before you oversee others who do that stuff? How did you learn? Magiera: It was on the job. When I first got the iPad, I didn’t know how to do anything. But I went to conferences, did professional development. Seventy percent of what I’ve learned comes from watching YouTube videos and watching blogs. [Twenty percent] comes from just opening apps and trying them out. Ten percent comes from conferences and professional development. I don’t have a formal degree in technology. I had a tech manager who did, who knew all the stuff. My role in overseeing that department was making decisions that were in line with the pedagogical and instructional goals for technology. THE Journal: Tell us about your first experience with ISTE. I saw all these glowing faces, and lanyards with a hundred different ribbons, like “I’m a Rock Star.” Teachers came with matching T-shirts. I died and went to Heaven — it was an educational wonderland. People were smiling and laughing and relaxed. There was a feeling of hope, positivity and empowerment. I was immediately energized. I thought, “This is the best money I’ve ever spent.” I paid for myself to go, my own registration. That’s a lot of money for a public school teacher! And then the sessions were amazing, as were the people. These people have become best friends. It’s my recharge time. My people, my tribe. It gave me a chance to recharge my batteries with smiles and hope. Teachers are awesome. People are telling you you’re good at your job. That you matter, and it feels good. THE Journal: And what does it feel like to be a keynote speaker at ISTE? Magiera: It’s the first year that I’m not paying for myself. (It’s like $1,000 at the end of the day.) It’s surreal. When they asked if I would do it, I couldn’t believe it. I kind of got imposter syndrome. But I think that what I would say is, everyone has a story to share, and don’t underestimate your worth. We all have something to contribute to this space.